As a child I grew up in Sudan and Kenya. When I lived in Sudan, we had no power most of the day or night, and I kept myself busy with quite a bit of reading. Reading for escape, for adventure. 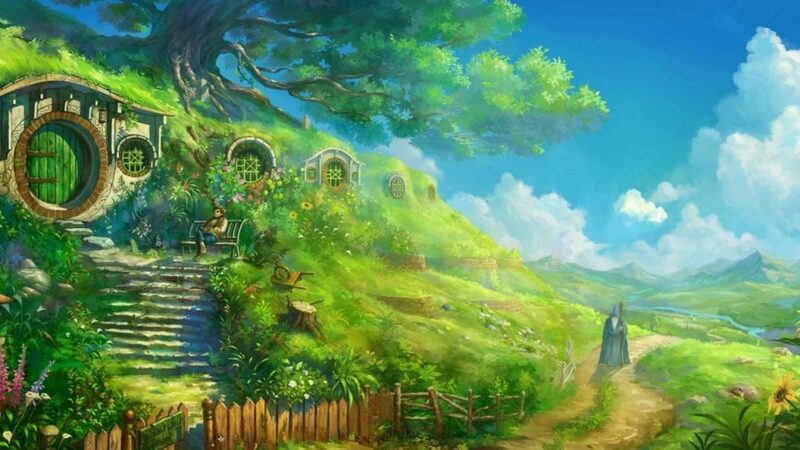 Like many, I grew to love Tolkien’s hobbits and the Lord of the Rings. I began to think of hobbits and Shire folk again recently, which inspired me to look up quotes from the great wordsmith Tolkien. This week I’m a part of the Unreasonable Goals program, where 17 business men and women are gathered, since they’re focused on solving some of the world’s most intractable issues. It’s filled with remarkable people working on some very hard things, in very creative ways. Take for instance, Samuel Alemayehu of Cambridge Industries in Ethiopia. He takes in an ungodly amount of waste and then proceeds to create energy, paving bricks, and a slew of other byproducts that provide jobs and opportunities for 50,000+ Ethiopians. Or, how about Gayathri Vasudevan of LabourNet, working to to provide jobs and enable livelihoods for 10 million informal sector workers in India. I mean, this is heady stuff, with people not just dreaming and building, but actually doing it. And, there’s 15 more CEOs of companies that are all here working on *things that matter*, that push the envelope. It’s no exaggeration to say that some of the individuals in this room will make a real dent in the world, and that you’ll see their names in even bigger lights one day. We sometimes overly celebrate those who tilt at windmills, who climb mountains, who conquer all before them. Some of them live a good life, a fulfilling one. They are called to this, their gifts and skills almost compel the new reality that they stamp upon the world. And we forget… We forget that there is a life equally well lived for those who live a simple, quiet life. Sometimes they support those on grand adventures, sometimes they have a resounding impact on their small community, and sometimes they softly raise a family, keep the engines going in a company, or happily bake cakes (and everyone loves cakes!). I’m grateful to be amongst the genius and talent in this room. I’m similarly thankful when I reflect on the many who live a quiet and equally accomplished life.